Successfully Added Car MP3 FM Transmitter with Built-in 2GB Flash to your Shopping Cart. Car MP3 player with 2GB of internal flash memory for storing music and directly playing music, and an built in FM/RF transmitter for playing songs directly on a FM radio. 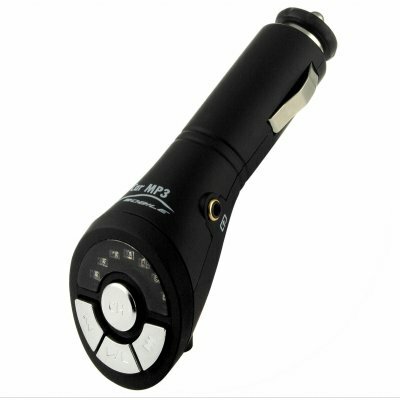 This excellent little MP3 gadget fits directly into a car's cigarette power adapter for power, and with the audio jack and USB port, connecting and playing other audio equipment such as MP3/4 players or PDAs is fast and easy. A perfect item for resale or for personal use, Chinavasion offers this item with no MOQ and with a one year warranty..